Happy New Year, indeed! 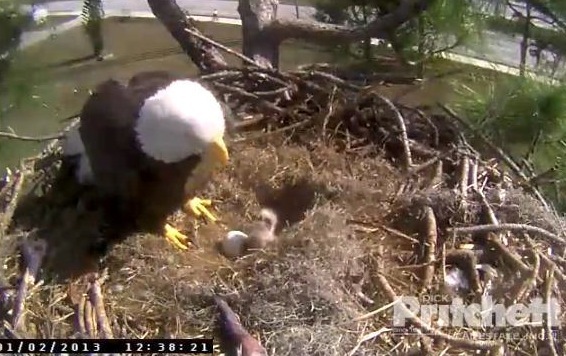 Ustream’s Southwest Florida Eagle Cam welcomed eaglet one on New Year’s Day and eaglet two is due any minute. Parents Ozzie & Harriet have been guarding the nest and keeping everything under control as “Hatch Watch” continues. Check out some exciting moments from the past few days, and join us as we welcome eaglet #2 into the world. Follow @UstreamAnimals and @SWFLEagleCAM on Twitter for breaking news about the Southwest Florida bald eagles.